Take Hampshire Road exit make a right and turn left onto Thousand Oaks Blvd. Enter parking structure by turning left at Dallas Drive. 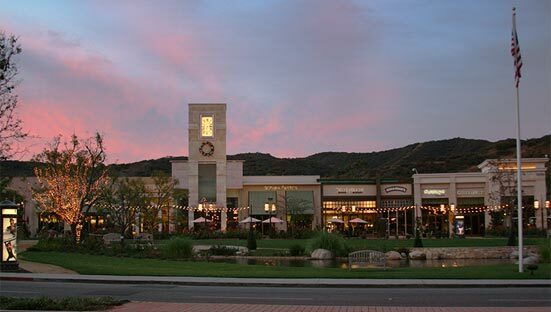 Take Rancho Road exit, make a left, and turn right onto Thousand Oaks Blvd. Enter parking structure at Dallas Drive. Take 23 Fwy South; exit Thousand Oaks Blvd/Hillcrest. Turn left on Thousand Oaks Blvd. Enter parking structure by turning right on Dallas Drive. $8 (cash only) per vehicle on performance dates. There is no charge for parking during City Hall office hours. A six level parking structure provides ample parking adjacent to the Civic Arts Plaza. 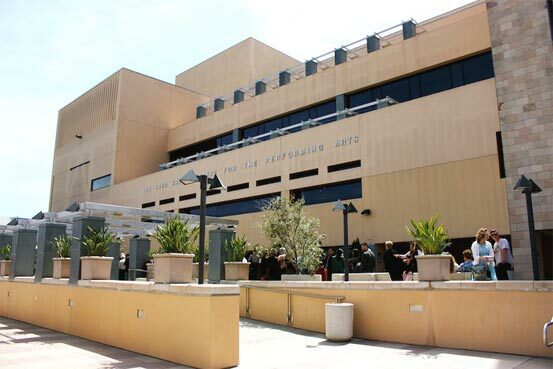 From the parking structure, the Fred Kavli Theatre is accessed by taking the elevator to Level 3. From the parking structure, the Scherr Forum Theatre is reached by taking the elevator to Level 3 and then taking either of the two Plaza elevators down to Level 2. Disabled access parking is located on all levels. The Civic Arts Plaza provides disabled access and seating inside both theatres. Buca di Beppo Italian Restaurant 205 North Moorpark Rd. Country Harvest 3345 Kimber Dr.
Draughts Restaurant and Bar 398 N. Moorpark Rd. Just Coffee 3297 E. Thousand Oaks Blvd. Mouthful Eatery 2626 E. Thousand Oaks Blvd. Nothing Bunt Cakes 1610 E Thousand Oaks Blvd. PF Chang’s China Bistro 2250 Thousand Oaks Blvd. Thousand Oaks Fish & Chips 3825-H Thousand Oaks Blvd.